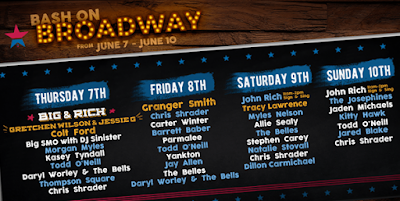 Redneck Riviera "Broadway Bash" TENTATIVE #CMAFest Schedule! 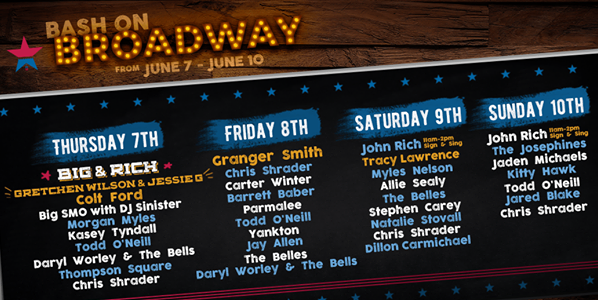 John Rich announced that his Redneck Riviera will be hosting a Broadway Bash throughout CMA Fest and John Rich will be performing and meeting fans from 11 AM - 2 PM on both Saturday and Sunday! 1:00 PM Granger Smith Natalie Stovall Jaden Michaels? 7:00 PM Todd O'Neill Parmalee Allie Sealy The Josephines?